Etienne Djevi is an Infectious Disease Doctor practicing in the Twin Cities East Metro. He is from Benin, where he worked as a Medical Doctor prior to moving to the US. When Etienne arrived in the United States, he started working as a Nursing Assistant while taking English classes. Etienne knew he wanted to get back to practicing medicine, so he sat for the USMLE tests and pass. He enrolled at the University of Minnesota where he completed his Internal Medicine residency in 2012, followed by his Infectious Diseases Fellowship in 2014. Etienne has worked primarily with the St. Paul Infectious Diseases Associates since 2014 but works at various hospitals in the Twin Cities East Metro. Etienne is a member of the St. Joseph’s Hospital Physician Leadership Committee and the Director of the Antibiotic Stewardship Program at St. Francis Hospital in Shakopee, MN. He also volunteers as a Commissioner on the Roseville Human Rights, Inclusion, and Engagement Commission and a member of Do Good Roseville. Etienne was listed by the Minneapolis St. Paul Magazine as a Rise Star Top Doctors in 2016. Amira Adawe is a Manager at Minnesota Children’s Cabinet Office of Governor Mark Dayton, where she works on early childhood in all policies and systems using equity lens. Amira previously worked at Minnesota Department of Health as a Legislative Liaison and Saint Paul – Ramsey County Public Health as a Planner, health educator and community engagement coordinator of Family Health and Community Engagement Division. She is a public health researcher and her research interests include women and children’s health in the areas of access to health care, skin-lightening practices and mercury exposures. Amira is the founder, Executive Director of the Beautywell Project, a campaign to combat the skin-lightening practices and chemical exposures in the immigrant and refugee communities in Minnesota and Nationwide. Amira is the host of Beauty-Wellness Talk at KALY Radio. She is the founding member of SoLaHmo – Somali, Latino and Hmong Partnership for Health and Wellness. Amira has undergraduate degree in Family Social Science and Master of Public Health from University of Minnesota School of Public Health. She was also a Policy Fellow 2015-2016 at Humphrey School of Public Affairs at the University of Minnesota. Amira’s work has been featured on local and national media including Minnpost, STAT, National Public Radio (NPR) and Matter of Fact with Soledad O’Brien. 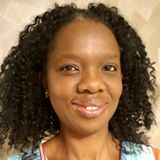 Nelima Sitati Munene is a Community Development professional and strategist working to advance racial, economic and social equity. She currently serves as the Executive Director of the African Career Education & Resource, Inc. (ACER) – a grassroots issue based organization working in the Twin Cities to advance equity especially within the African Immigrant community. Her work is driven by her desire to see everyone live to their fullest potential. Nelima is passionate about public service and civic engagement. She has served on various non profit boards and government commissions. She currently serves as on the boards of prg – a nonprofit housing developer, Women Venture – a Women’s Business Center that helps women grow profitable and sustainable businesses and the Alliance for Metropolitan Stability – a coalition of community based organizations and advocacy groups building shared power. Nelima served on the Metropolitan Council’s Housing Policy and Planning Work Group and is the current Co-Chair of the Council’s Equity Advisory Committee. She is an Alumni of the Humphrey Public Policy Fellow and the James P. Shannon Leadership Institute. Nelima is committed in developing the next generation of leaders, especially African female leaders and is currently invested in connecting youth to leadership roles. She is an avid reader and writer and also loves traveling and the outdoors. Her most important role in life is being a mother and wife. Stefanie G Asante-Totimeh is an ICU trained registered nurse who works in the Pre op/ Pacu unit at United Hospital in St Paul. She owns her influencer brand, Stylishmomnurse. As an influencer, she promotes businesses, blogs as well as models. Her brand is inspired by style and self-esteem. Some of her modelling/influencing works can be found on many local and international commercial campaigns including Target, Fedex, YMCA, Dugo at the Galleria, Xcel Energy, among others. She is currently the face of her alma matter Inver Hills Community College’s nursing program on Metro transit buses in Minnesota. Her platform encourages women to be confident, beautiful, and think outside the box in both their personal and professional lives. She is also passionate about volunteering and is the Executive Director of the African Healthcare Workers United. In every facet of her life as a mother to 2 children, wife, registered nurse, or influencer she walks with confidence as she tells her story in her own words. Stefanie has an associate in nursing from Inver Hills Community College and a Baccalaureate in Nursing from Bemidji State University. She also holds both a Public Health Nurse and Medical Surgical Certifications. She loves to go to the gym, read, dance, and socialize. She is of Ghanaian heritage and has so much pride in being connected to the continent of Africa. Daniel Sopdie is the Regional Strategy Manager at Greater MSP, where he builds, supports and guides teams and coalitions of partners to execute the regional economic development strategy. Before joining Greater MSP, Daniel was the Senior Program Manager at the Office of University Economic Development (UED) at the University of Minnesota. Daniel's other experience includes working as International Missions Communication Officer and International Programs Officer for the Starkey Hearing Technologies Corporate Foundation. Daniel has also served as a Social Entrepreneurship Fellow at The Resolution Project Inc., where he developed and implemented small enterprises in communities that link private and public funding to develop local and regional economies. Daniel earned bachelor’s degrees in Economic, Political Science, and International Relations from Wartburg College and his MBA from the Opus College of Business, University of St. Thomas. Donald Joseph is a passionate and seasoned executive in the diversity, inclusion, and equity space who is focused on driving results through meaningful partnerships and leveraging data insights to enable leadership to critically interpret and understand business impacts. Donald currently serves as the Senior Diversity and Inclusion Program Manager at C.H. Robinson. 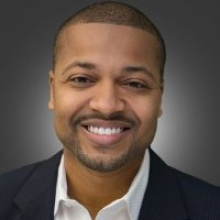 In this role, he partners with executive leadership and human resources colleagues to shape the strategic focus to increase people of color and women in management roles to improve team performance, foster breakthrough results, maintain competitive advantage, and positively impact financial performance through a comprehensive measurement and accountability framework. Donald has worked for complex, multinational companies such as IBM, Citigroup, and Target as well as organizations with social agendas, and has developed an understanding of the unique challenges that these organizations face. Donald Joseph has a bachelor’s degree in Finance from Pace University and earned a master’s degree in Human Resources Management from New York University. Don has extensive board leadership experience, serving on the boards of One2One, which provides mentoring programs to students struggling with school, and the Network for the Development of Children of African Descent (NdCAD), which offers literacy and cultural enrichment programs and services for children, youth, and adults. Ann Taylor is Director of Talent Acquisition at Land O’Lakes, and in this role, leads recruitment for the organization as well as oversight for College Relations recruitment services for our member owners. She contributes to the broader talent management initiatives for the Land O’Lakes enterprise, including as a member of the Talent Management Steering team at Land O’Lakes, as well as an active member of the Diversity Enrichment Council and part of the Recruitment Advisory Board for Minorities in Agriculture, National Resources, and Related Sciences. Prior to her current position, she held the role of Human Resources Director for Dairy Foods, Purina Business to Business, and the Corporate Centers for Land O’Lakes, Inc. In addition to spending more than 18 years in her career at Land O’Lakes and through various roles within the HR organization, she previously held roles as Division Director for Robert Half, International and in Human Resources for Merrill Corporation. Ann holds a College of Liberal Arts degree from the University of Minnesota. Ebenezer S. Norman, is the founder and president of A New Dimension of Hope. He obtained a bachelor degree in organization development and working on his Master of Development Practice from Regis University. Norman has served as a leader for many organizations including the “Father’s Project.” In 2013, he was a nominee of the “World of Children” award. He has aspirations that extend beyond personal success, and is deeply invested in his non-profit endeavors. His passion and commitment to change the world is what drives Norman daily. He has sacrificed tremendously to launch and maintain A New Dimension of Hope, and has dramatically impacted the future scholastic opportunities for his first, chosen Liberian community. He has been recognized for his work with children both nationally and internationally. Caroline Karanja is a software developer who is passionate about helping organizations and individuals grow towards cultural inclusion. She is the co-founder of 26 Letters, a SaaS solution that helps companies understand and incorporate, diversity, equity and inclusion. Her deep experience working in the technology space gives Caroline a unique perspective that has helped define and refine 26 Letters’ approach. Prior to founding 26 Letters, Caroline guided culture and inclusion initiatives as a consultant at large organizations and fast-growing startups. She focuses on helping individuals grow professionally and personally towards cultural competence. Her academic background is rooted in cultural and social studies and its application in the private sector. Jackie O, is the Assistant Nurse Manager for Labor and Delivery at second largest Birth center in the State of Minnesota. She is also the Director of Events for the African Nurses Network.